Striking, stylized renderings of familiar and exotic avian creatures for use in varied craft projects. 74 designs in a host of shapes and configurations depict the snowy owl, canary, pheasant, peach-faced lovebird, ring-necked parakeet, parrot, masked lovebird, raven, Gouldian finch, eagle, white-bellied caique, many more. 12 amazingly lifelike dog designs that are useful in panels or freeform projects. Dog breeds include German Shepherd, Beagle, Boston Terrier, Bernese Mt Dog, Bulldog, Papillon, Chihuahua, Pomeranian, Schnauzer, St Bernard, St Hubert, and a Teckel. 13 more amazingly lifelike dog designs that are useful in panels or freeform projects. Dog breeds include Huskys, Boxer, Great Pyrenees, Great Dane, Bassett, Corgi, Bobtail, Border Collie, Min Pin, Doberman, Collie, and a Bull Terrier. 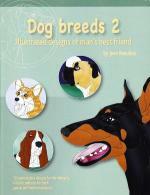 30 new breed dog patterns can be found within the pages of this book. Includes a pattern CD with jpgs and glasseye files for easy full-size pattern printing. 32 pages. 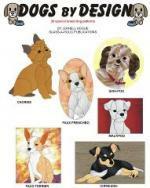 Designs include schnoodles, poochons, chugs, golden doodles, boglen terrier, chiweenie, taco terrier, and more! 16 illustrated designs of curious felines in various poses. Cat patterns include kitties sitting pretty, ready to pounce, crouching, walking, a sitting kitten and more. Color photos of each design is included. 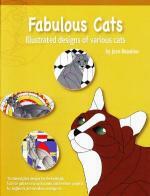 Contains 17 realistic and adorable kitties, cats, and big cats. Each design has been carefully rendered to capture the essence of each feline. Designs include: Cat Nap, Shelf Kitty, Tiger, Puma, Rough and Tumble, Playful Kitty, Tabby Cat, Wanna Play, Calico Kitty, Tabby Cat, and many more. Helpful hints and instructions to make these cat designs fun and easy projects are included. Contains 11 full size patterns. Includes 11"x17$quot; pattern for kitties with flowers, a cat pattern to make a 16" hex stone, and an 11"x33" panther in the jungle. Full color photos of each project show a good use of color and texture in the glass used. For beginner to intermediate level. 32 pages, 4 in color. What started as a fun way to use the cigar boxes has evolved into a book that combines fused glass wildlife patterns with wood settings. Include patterns for creating a variety of small fused glass panels that look especially at home when placed into a wooden box lid or wooden frame. 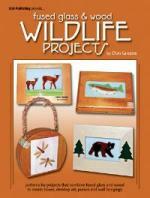 You'll find patterns for deer, bear, eagles and rainbow trout, as well as a butterfly, dragonfly and bumblebee. Instructions are included for both creating the fused animals, as well as preparing a wooden box to accept your finished panel. Many of these projects make great gifts for those "hard-to-shop-for" guys in your life. 15 full-size patterns. Includes creatures of the land, sea and air: soaring eagle, black panther, dolphins, tropical fish, butterflies, an egret, peacock, horse and more. All patterns photographed and displayed. 32 pages 4 in full color. 15 patterns that illustrate the majesty of various types of horses. Patterns depict the images of wild horses, carousel horses, rocking horses, polo horses, and 5 head shots. Each pattern is shown in full color and color suggestions are included. Designs can be used in panels and free-form projects. Beautifully rendered designs of safari and jungle animals include lions, elephants, and tigers. Most of the patterns feature close up "headshots" Other wildlife featured include a zebra, panda, monkey and two giraffes. All finished panels shown in full color. 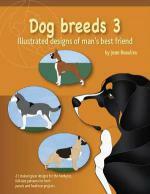 From Affenpinscher to Yorkie-poo and everything in between, including many newer mixed breeds, this book has them all. An amazing 122 patterns of 112 different breeds of dogs are represented, with finished projects shown in color, all listed in alphabetical order so you can find your pattern with ease. There is even a pattern for a paw print memorial. Includes a CD disc of designs for printing designs into full-size tiled patterns. 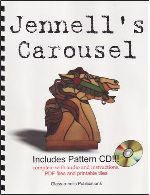 A very unique book featuring full color carousel designs include busts of carousel figures such as Silver Tongue, Rooster, Sea Monster, and others. The CD-rom includes tiled printable full size patterns as well as audio clips of helpful hints and tips that you can listen to while viewing the pattern. 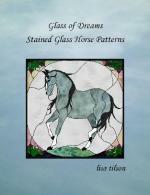 12 patterns in all ranging from window panels to suncatchers to night lights display stands. 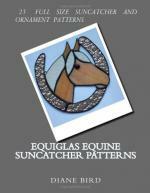 22 pages pattern book full of 19 horse design panels. It also comes with a pattern CD for glasseye and jpeg files. Instructions and Suggestions included. 78 nature designs including sunlight through clouds, bamboo plants, long reeds & grasses, floral scenes with birds, small animals, fish, & many abstract designs. Varied shapes make the designs adaptable to windows, panels, sidelights, & mirrors. 64 pages. 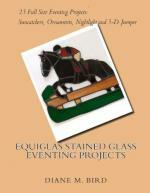 Perfect for a variety of skill levels, this collection presents an impressive array of beautiful stained glass patterns. Images include a tropical sunrise, Tuscan vineyard, and New England country church, along with ocean waves, a graceful crane, and other animals, plus abstract landscapes and seascapes. 90 different motifs, shown in black and white and in 8 pages of color plates, offer an array of options for stained glass projects, including window panes, lampshade panels, light catchers, mobiles, and more. Includes 27 patterns, some with simple lines and easy cuts, and some that are more advanced. The number of pieces in the patterns range from 50 to around 250. A front section of the book contains small versions of all the patterns with the number of pieces for a quick reference. There are also some helpful tips for controlling the gaze of the eyes. 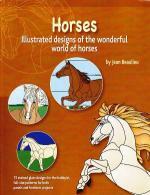 This book celebrates different state animals and various other creatures in all their splendor. Designs include an eagle, cardinal, rooster, cow, ducks, horseshoe crab, ringtailed lemur, horse, a dragonfly and more. 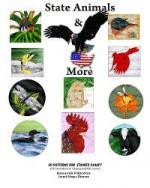 Contains 51 full size patterns based on the official bird of each state including the District of Columbia. 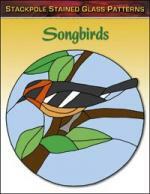 Patterns include, robin, quail, cardinal, oriole, loon, meadowlark, bluebird, finch, grouse, wood thrush, and many more.